The Adventures of Tintin: The Game, known outside North America as The Adventures of Tintin: The Secret of the Unicorn, is an action-adventure video game based on the film The Adventures of Tintin. The game was developed by Ubisoft Montpellier together with the producers of the film, and published by Ubisoft for the Wii. The game is predominantly a platformer. 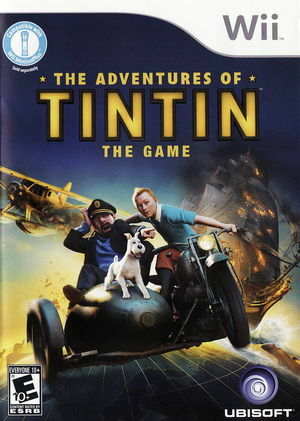 The player controls Tintin most of the time, but can also control Snowy, and in the final battle, the player controls Captain Haddock. Snowy has the ability to follow the Tintin's scent, as well as the scent of other humans and creatures, and can also scare harmful creatures away with a bark. Tintin can punch enemies and climb ladders, and can also pilot planes and motorcycles. Haddock can also use a sword to fight. Sword fight sections allow the use of the Wii MotionPlus peripheral for improved accuracy. Because of various inaccuracies in the boot process for Wii discs, Dolphin ends up triggering the game's anti-piracy system. This causes the game to crash every time a level is completed. See issue 10361. Fixed by 5.0-5075. Because of a major bug in how attempts to open unknown resource managers are handled in IOS HLE, the first layer of anti-piracy checks is triggered early in the boot process, causing the game to hang on a black screen. This has been fixed in 3.0-491. The graph below charts the compatibility with The Adventures of Tintin: The Game since Dolphin's 2.0 release, listing revisions only where a compatibility change occurred. This page was last edited on 15 October 2018, at 05:12.